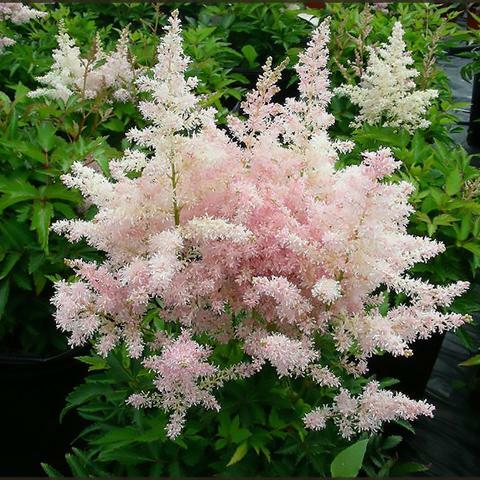 Bright pink blooms two weeks earlier than other Astilbies in late spring to summer. Compact, rounded plants are very floriferous and more tolerant of heat and drought than other varieties. Astilbe will grow in full shade but plants will not flower as much. Light shade is best and needs consistent water especially in sun.